Dollie is the youngest of Capri’s 2014 litter born in May. Choosing names is not always easy. In this case, I considered naming her after one of my grandmothers using a middle name. In looking at the family tree, I noticed that the name of the mother of my maternal grandfather name was well suited to this sweet little doeing – Dollie. Her last name (married) is Sheridan. 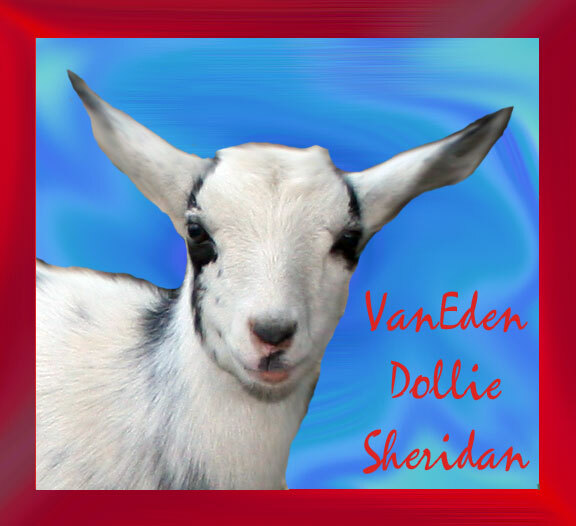 That was a great name so this doeling’s name will honor Grandma Sheridan. When she is milking, her ice cream will served in Grandma Sheridan’s sherbet dishes – a loving touch to a gift given to me with love by my own grandmother.